“Deprive a cell 35% of its oxygen for 48 hours and it may become cancerous.” – Dr. Otto Warburg. Dr. Warburg has made it clear that the prime cause of cancer is oxygen deficiency (brought about by toxemia). Dr. Warburg discovered that cancer cells are anaerobic (do not breath oxygen) and cannot survive in the presence of high level of oxygen. Food, stress, mood, and music all alter our pH balance. Anything that is stimulating could leave an acidic residue in our body; any activities that are calming and relaxing could make us more alkaline. 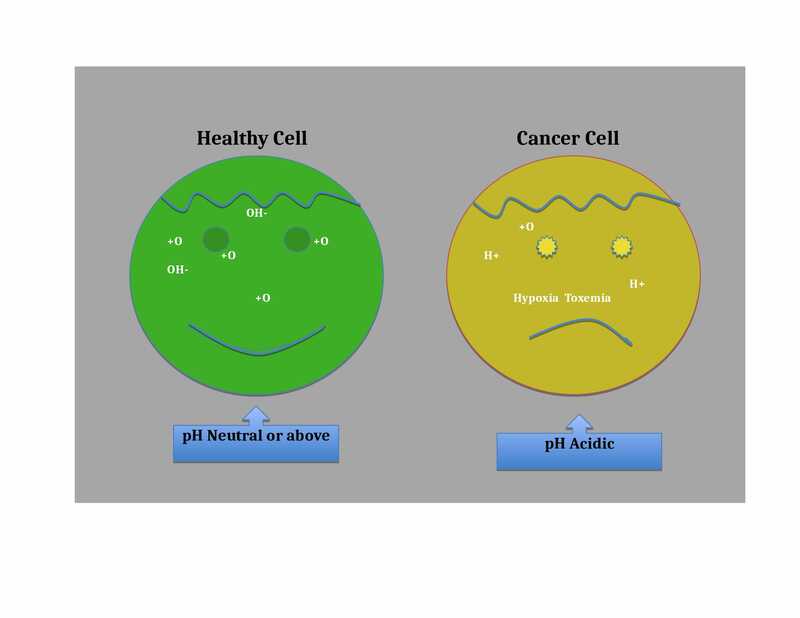 It is believed 80+% of cancers are initiated by or caused by STRESS, which alters our pH balance, which makes us acidic. A healthy body usually has a large alkaline reserve that is used to meet the demand when too many acid-forming foods are eaten. When and if these reserves become depleted, health can be seriously compromised. Most authorities would recommend a food plan based on 80% alkaline forming foods and 20% acid forming foods, to maintain balance. 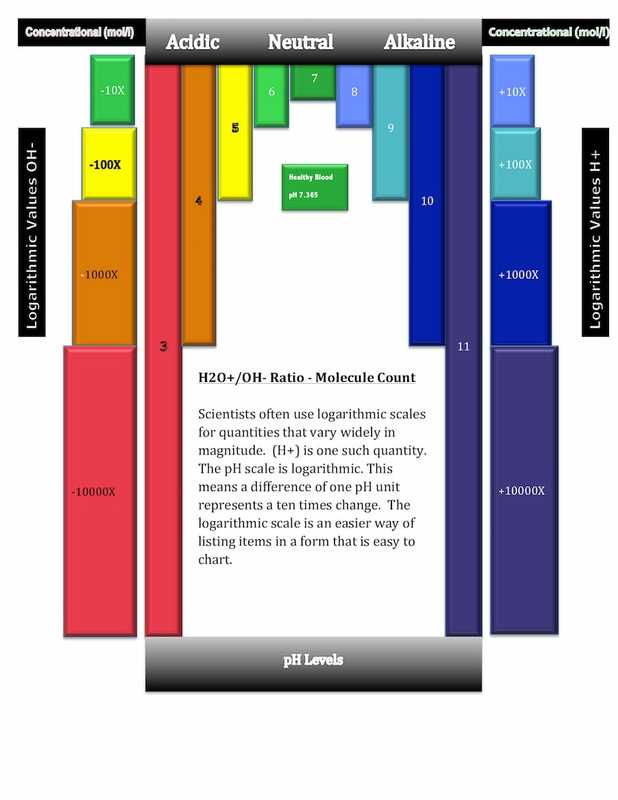 We are born with a pH of 7.365. pH is measured on a scale from 0 to 14. Neutral, is a pH of 7.0. Above 7.0 is alkaline, and below is acidic. 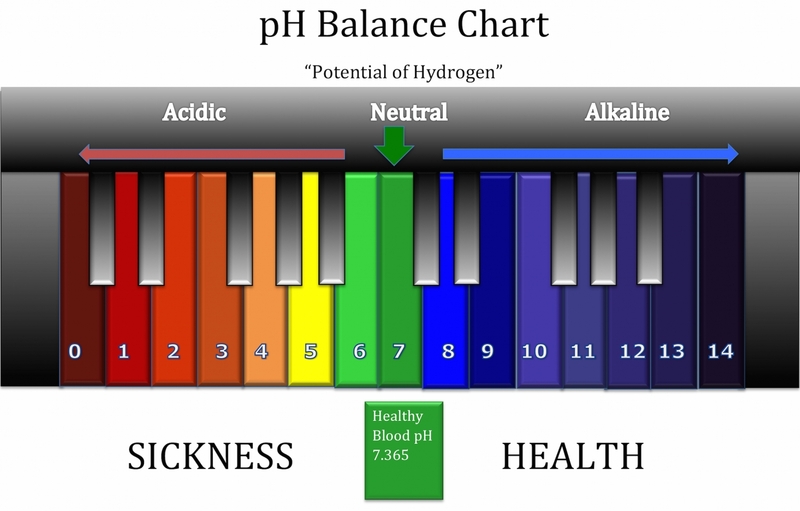 Optimally, you want to be a little on the alkaline side, with a blood pH of around 7.4. 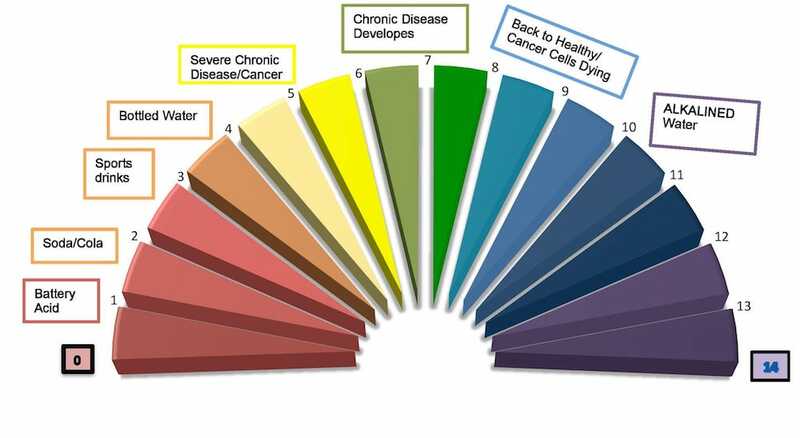 Diseases cannot survive and flourish in an alkaline body, but it thrives in an acidic body. 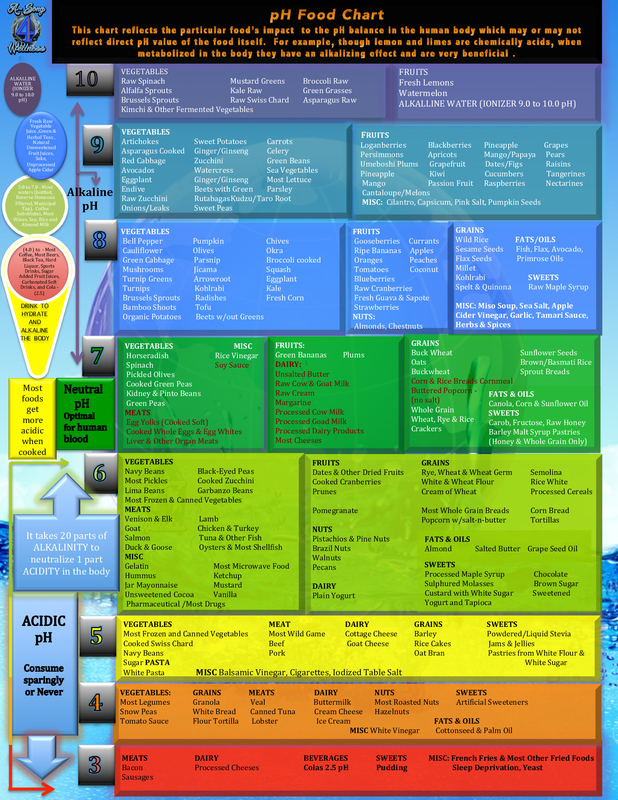 Also be aware it takes 20 parts alkalinity to neutralize only 1 part acidity. It’s important to eat as much raw food as possible because cooking your food makes it more acidic. You will get the max amount of nutrients, vitamins, minerals, antioxidants and oxygen when you consume whole raw food.